So many food options, so little time. And when you throw in the possibility of getting stuck in traffic during rush hour as you go in search of a takeaway, it’s clear to see why a service such as the one provided by hellofood is so invaluable. 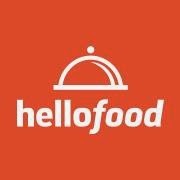 hellofood is a brand new delivery service website that launched in Nigeria recently, with the aim of making food ordering quick and easy. With over 250 restaurants linked to their website, variety (and the chance to try something new!) is only a click away. The website is extremely user-friendly, reliable and professionally designed. All you need to do is enter your city/location, search for cuisine type or enter a particular type of restaurant you have in mind, and you will be presented with a range of online menus to choose from. You then select what you want to order, enter your details and pay on delivery. Simple as that. It all sounds wonderful, but of course I had to take a look at it from a vegan perspective too. I had a browse through the menus of a handful of restaurants listed on the site to see the vegan options available and came across a few gems. At Petit Paris in Lagos, for example, you can get a wide range of fresh smoothies and juices, with side orders of garnished fried plantain or herb French fries, steamed rice and so on. At Nono’s Delight in Ebute Metta, you can order jollof rice, indomie with vegetables, moi moi, boiled plantain, spaghetti jollof and side salads – a ton of variety without the need to touch meat and dairy. Most of the Asian-themed restaurants such as China Town Express in Victoria Island also provide veggie options and alternatives such as stir-fries and vegetable curries. The best offering of vegan food, however, comes from the ground-breaking restaurant, Veggie Victory, located on Lagos Island. Every single item on the menu is vegan. How exciting is that! And their full menu is available to you online. From tofu suya to veggie burgers to egusi soup, jollof rice and yam porridge, to fresh smoothies, juices and shakes. You can order with the knowledge that your food has been prepared in a 100% meat-free environment! To give this service a try, visit the hellofood website or download their app for extra convenience. Let me know how you get on and I’d especially love to hear your feedback if you order from Veggie Victory! I am going to try out their service. Thank God for a relief at last.